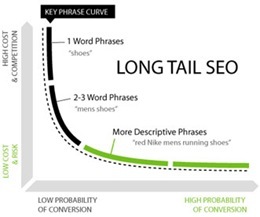 How many of you’re aware about the prospects of long tail keywords? Whether aware or not (some of you must be using it ) one thing is sure – you can rank top on the first page of Google for long tail keywords far easier than ranking for short tail keywords. Why? Answer is simple, there is less competition! So you sensed where I am heading to. Before going deep into long tail keywords, let us have a quick glance over long tail and short tail keywords. The expression ‘long tail’ is used to express the way of targeting less-competitive niche markets rather than the vastly competitive common keywords. A long tail keyword is something like ‘Internet Marketing Company Toronto’ (Keyword competition is 577,000) while a short head keyword is one like ‘Internet Marketing’ (With this keyword you’re competing against 81,100,000 websites). It is clear that highly specific multi word phrases could help rank well far easier than the more generic terms. Search engine optimization is now a gargantuan and fast growing industry and there are millions of people flurrying to rank for keywords that will impact their website to fetch as much traffic as possible. As a very important constituent of ranking in SERPs long tails have a greater role, in deciding your ROI. You’ll be wondering how those broader terms can get high-quality rankings and most likely better conversion rates with a lot less competition. Long tails use keyword phrases which are very, very specific to whatever you’re selling. 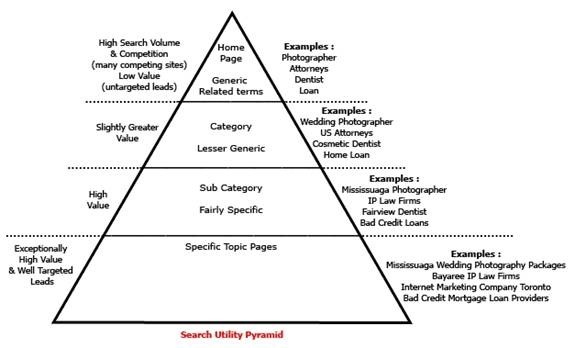 When a customer narrows down his/her search term to a highly specific search phrase, they lean to be searching for exactly what they are actually going to purchase. In most cases, chances are more on such highly specific searches to convert to sales than general generic searches. 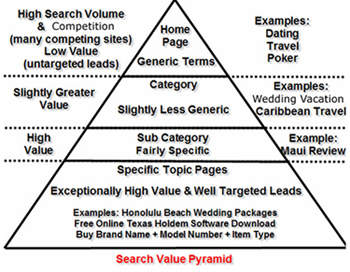 We can take these as instances where visitors use generic searches as prior research for making a right buying decision. You will get a better understanding on search distribution for long tails and generic phrases through the following diagram. 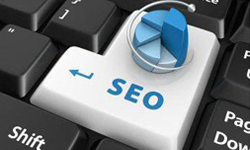 To begin with everyone might consider targeting generic keywords related to their business. But now we are in business, and it is time to reconsider and strategize what keyword maybe fit the time and effort to optimize your site. Here’s a good example. Suppose you or your client is a loan provider in Minnesota offering bad credit mortgage loans, and wants to rank for the generic term ‘mortgage loans’. No doubt, there are millions of more people searching for the keyword ‘mortgage loans’, but if someone in Minnesota is searching for (now search is more localized) ‘minnesota bad credit mortgage loan providers’ and catches your site, your conversion rate would be much higher. Google search returns results like this —- the keyword ‘mortgage loans’ has 9,570,000! and the highly specific ‘minnesota bad credit mortgage loan providers’ has a very very low figure of 143,000! However, if you tried to move with the key phrase ‘mortgage loans’, you would be facing direct competition from mortgage giants like GE Money or JP Morgan. And you know that you cannot knock them out from the top 10 listing, unless you can afford to pump money and spend tons of time. Here lies the relevancy of ‘long tails’ –the wand which can work wonders for your site. In short whether you can achieve high rankings for competitive keywords or not, long tail keywords could be highly beneficial for your site. Consumers who search by using long tail keywords have made their purchase decision, so far more likely to become buyers! 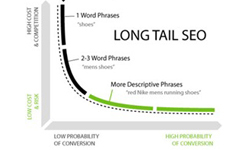 Pretty informative article on long tail keywords. All the basics you need are there. Still valid info even it’s written almost four years ago.